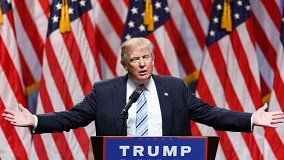 http://newiprogressive.com/images/stories/S5/rnc-2016-s5.jpg We're beginning to see behind the cardboard cutout that is Donald Trump and the 2016 GOP and finding there is nothing backing up the rhetoric and hot air. 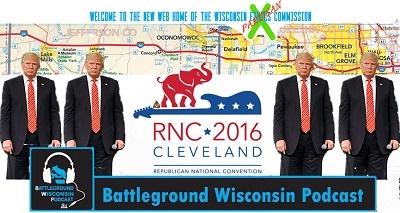 Battleground Wisconsin "Making Ethics Great Again?" MILWAUKEE - On this episode Jorna and Robert predict the Trump VP pick (that happens Friday) and discuss the speakers for the upcoming RNC convention. Later in the show Matt Rothschild, Executive Director of WI Democracy Campaign, joins the team to talk about the not so amazing transition from the Wisconsin Government Accountability Board to the Elections and Ethics Commission. Our favorite failed Walker agency, WEDC, is back once again in the news. This time they want to place a gag order on their Board members. Really, you can't make this stuff up! Citizen Action, our long time media partner, has been encouraged to start a member-owned, permanent, multi-issue local organization right here in Green Bay and Northeast Wisconsin. See this Video for an idea of what this exciting new initiative is all about. GREEN BAY - One year ago Citizen Action sought to change how they organize sustainably and locally, launching what became known as the "Organizing Cooperative". A member-owned organization that hires their own local organizer to fight for the main issues that matter to their members. Since then, they have worked out of their Milwaukee Office on economic justice issues, won millions in new tax credits for working families, helped thousands enroll in healthcare, launched a large voter engagement campaign and supported diverse issues like child nutrition, poverty, education, payday lenders and more. In March 2016, this model successfully was duplicated in Eau Claire as the 2nd Western Wisconsin Organizing Cooperative, with former state representative Jeff Smith becoming the organizer. Now, Citizen Action has been encouraged to bring this model of member-owned, permanent, multi-issue local organization right here in Green Bay and Northeast Wisconsin. Battleground Wisconsin - "Prescription for the Courts"